Two years ago today the Japanese people were reeling from the nightmare of the 8.9-magnitude earthquake – the most powerful one ever recorded in Japan, and the 30-foot wave tsunami that crashed as much as 6 miles inshore on March 11 2011; It was a nightmare that killed in the region of 20,000 people and triggered the world’s worst nuclear crisis since the Chernobyl disaster 27 years ago. 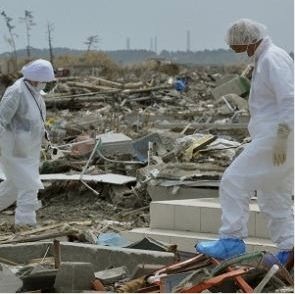 Whilst the atomic accident at Japan’s Fukushima Daiichi Nuclear Plant did not actually claim any lives it has left tens of thousands of people driven from their homes in a mass evacuation and reduced whole towns to an uninhabitable state as a consequence of the dangerous radiation levels. A situation that will probably last for many decades to come. No. 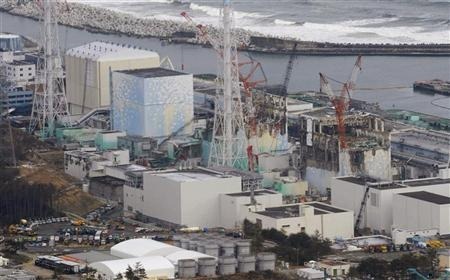 2 reactor at Fukushima Daiichi nuclear power plant suffered an explosion when cooling systems in the Unit failed and pressure inside the reactor soared. Reactor Units Nos. 1 and 3 were blasted by hydrogen explosions which blew the roof off No. 1 unit and tore No 3 reactor apart, and a fire broke out in reactor No. 4 spent fuel storage pond. As immobilised electrical and cooling systems at the nuclear power plant ground to a halt the largely unsung heroes – the heroic plant workers – in a terrifyingly high risk situation took life-threatening health risks in a desperate, punishing bid to prevent a worse nuclear disaster. 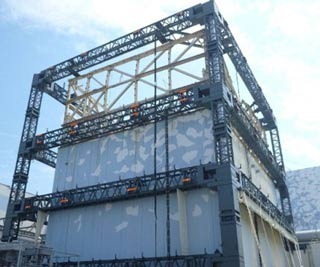 Overwhelming challenges as workers endeavoured to manually open a ventilation valve in a vital effort to discharge pressure from a reactor container. 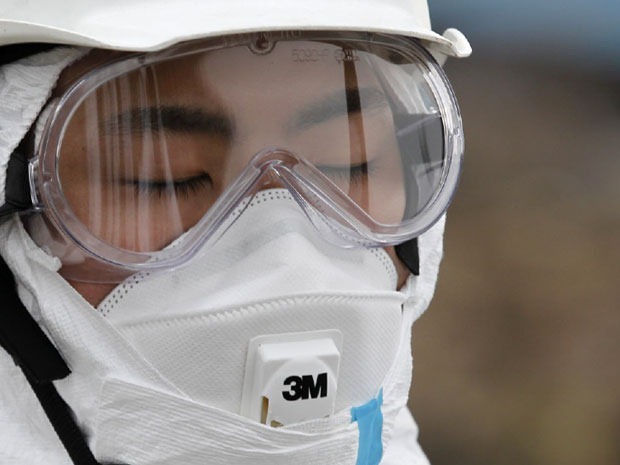 "We put on the full protection gear but couldn’t possibly let young workers do the task, as we had to go into an area where the radiation levels were high. When I got to the place to open the valve, I heard eerie, deep popping noise from the torus (a donut-shaped structure at the bottom of the reactor). When I put one of my feet on the torus to reach the valve, my black rubber boot melted and slipped (due to the heat).” one worker recalled. Dire working conditions as they strove relentlessly to combat the dangerously unstable and crippled nuclear plant. "We experienced big aftershocks, and many times we had to run up a hill in desperation (fearing a tsunami) with the full-face mask still on,” one worker said. "We finished the work (in one section) in several hours, although it usually requires one month or two. 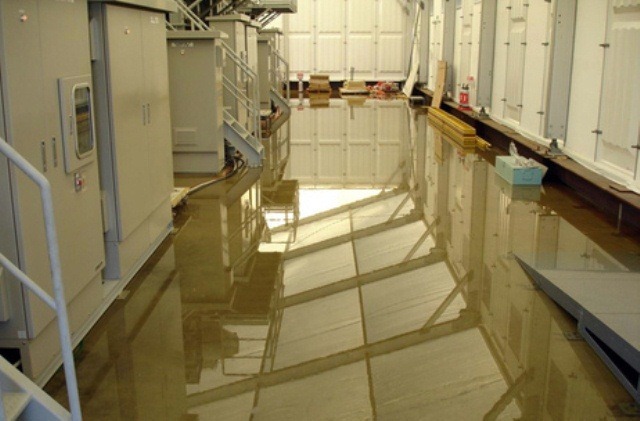 It was an operation we had to do in puddles, fearing electrification,” the worker said. 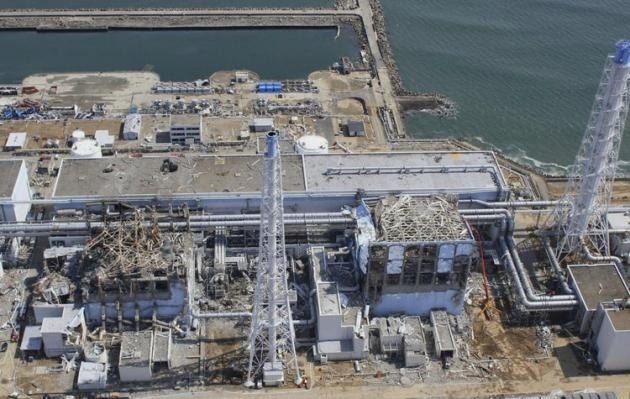 Explosions and fires at the plant give a free rein to the release of critically hazardous radiation levels, compelling TEPCO to evacuate all but a handful of brave and desperately needed workers, out of a nuclear workforce of hundreds. 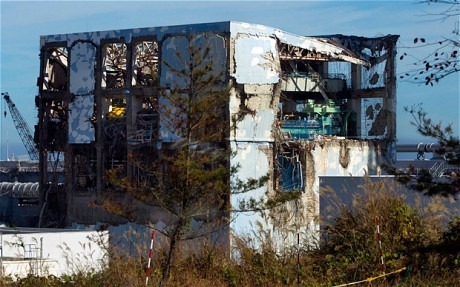 Those workers became known as the "The Fukushima Fifty”, but the final numbers of workers risking lives and health to join the battle increased by thousands who were also joined by partner company technicians, the likes of Toshiba and Hitachi. 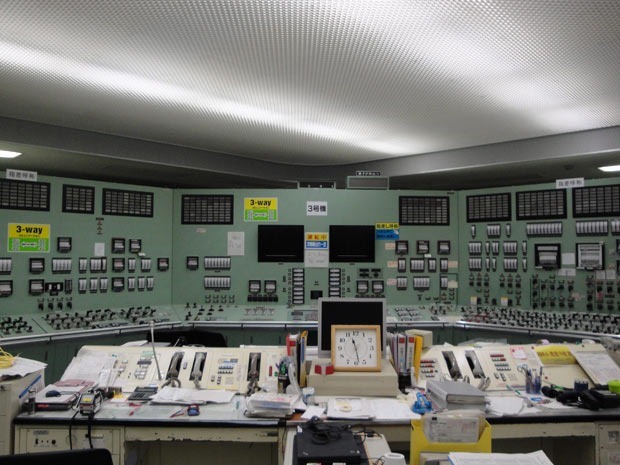 They undertook the commission of ensuring the steady flow of cooling water streaming into the six plant reactors, three of which none-the-less were later to undergo overheating and ultimate melted down. « Angola’s Maximum Security Wolf-Dogs Patrolling! Oh dear, wow – have heard the plant could not withstand another hit, I hope we never ever have to find out! I hope we don’t either! Because I’m quite sure it COULDN’T withstand another hit. Shame the world is burying it’s collective head in the sand and choosing largely to not think about it… they need to think…before it’s too late and we don’t exist anymore to think about anything. I recall following this minute by minute – one of the scariest disasters ever. In my opinion, it was worst than the Asian Tsunami of 2004. I know, that killed a quarter million or more. But that was Nature and she has a way of balancing out. The nuclear debacle, though triggered by the tsunami, was man playing with sciences they cannot fully control or even understand – there was no stopping where it could have ended. Some might disagree but this is my take. The Japanese people, as a whole, came through as remarkably disciplined and focussed. I’m totally with you on this one Eric…It WAS “one of the scariest disasters ever.” I suspect the world in general didn’t believe that anything even close to the Chernobyl disaster could ever happen again…improved technology…etc etc…how little we know and understand in truth. They were very brave to work as they did and we have heard very little about them. No we don’t Clowie…makes me angry when you think about the nightmarish scenario they were thrown into and the risks they took trying to stabilise the plant under dreadful conditions, not knowing whether they would survive at the end of the day. The consequences for all concerned in Japan, and beyond have been awful but these guys at the Fukushima nuclear plant just seem to have been forgotten despite their continuing battle to make it safe. They deserved at the very least a mention and I’m happy that I was able to do so. They deserve respect for their selfless bravery and yet they seem to be in danger of being forgotten. But this should not be so. 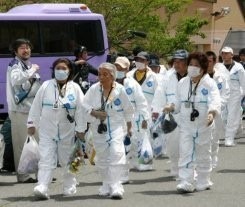 Without them the situation at Fukushima could have been terrifyingly different…and it’s bad enough as it is. I hope the world will remember and honour them and their actions and not forget…. I so agree with you Wolfie, this world has much Awakening to do. Excellentpost, coverage of the issue and photos….We just had an earthquake about 40 minutes ago, not big, not trivial either…cheers to you & Wolfie! 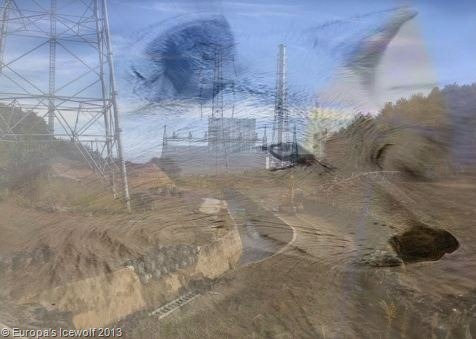 It was terrifying Aquatom…the thought of another Chernobyl is terrifying too…fukushima may not be widely reported in the news now but it wouldn’t take a lot for a catastrophic distaster on top of the last one destroy it completely…we know not with what we play…. Viele Japaner zahlen immer noch den Preis dieser Tag heute. Der Frühling ist zurück zu Winter hier auch weg. Gestern war der kälteste Tag im März in 27 Jahre! wowey wow wow this is horrible! I had no idea this was going on! Radiation poisoning is not something to be toyed with! You are a shining example of exactly how the authorities would like us all to be on this type of subject…lol…having “no idea” about it! But everyone has a right to know and even those who don’t want to know have a responsibility to know, because ultimately it impacts on every single one of us. A most horrible incident that will never be forgetten. We can only hope that the reminder of this disaster will ultimately make this very dangerous source of power safer for all humanity. This presentation is packed with useful information and photos that will forever provide a source of facts and tools. The reminder of this disaster is far from gone two years on… Removing current contamination is still underway and deal with further threats include A huge steel and concrete structure will eventually be built around the four reactors, similar to the one at Chernobyl, but this won’t even be started until the end of this year, and will then take another two years to complete. Contaminated debris is still be collected and bagged-up, and running 400 tons a day of ground water has to be run daily through the reactors to continue cooling them (requiring the construction of 1000-ton tanks new ones of which have to added every two or three days, to hold the contaminated water. Within two years there will be no room for additional tanks.) Power shovels are also hard at work removing layers of contaminated topsoil in the exclusion zone that will need to be stored for at least the next 40 years… Not stuff they want to advertise to the world in general…. I believe it is Natures revenge on japan for their policy of killing Whales. Neptune has spoken !!! Yes it is awful for the survivors and the generations yet to be born. The cost in human suffering is unfathomable, You did mention the subject of the suicide rate, among the people directly effected by the catastrophic event. I hadn’t thought about that, You do well Timid one, to keep this in the public eye. Well done you 🙂 I am impressed with your growing readership, you are becoming renowned for your good work keep it up. In this sense, and many others, the disaster will continue to exact a heavy toll on Japan, even as its heart-rending human and material toll grow dimmer in sight and memory. There were some who acted shamefully during that time, but also many who were heroes. What a very sad time. It is far from over Rumpy. 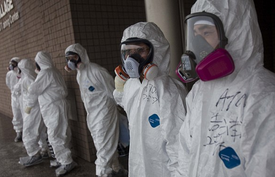 There are currently some 3,500 people in full body anti-radiation suits working daily at the Fukushima Daiichi plant site. Radiation is still at dangerous levels in the N-plant’s contamination zone. In reactor building No. 4, more than 1,500 spent fuel rods remain in a cooling pool outside the reactor’s steel and concrete containment vessel on the third floor. The fuel rods are still highly radioactive. 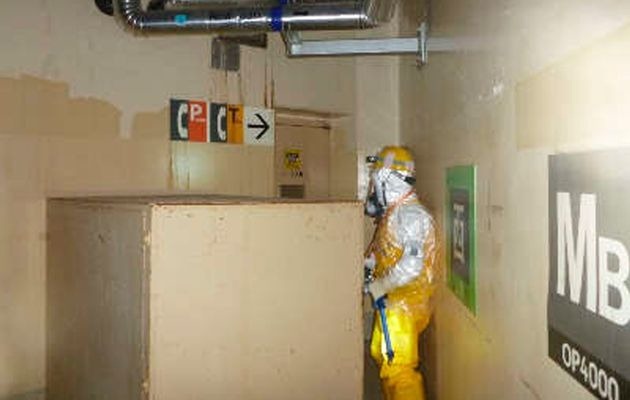 Ground and seawater is leaking into the basements around the reactors and becoming contaminated, as a result of the foundation walls designed to keep the N-plant watertight suffering severe damage… And removing the broken and damaged fuel and to safely isolate it will take decades yet – a good 30 to 40 years at least. So unbelievable scary and what incredibly brave people, working in such dangerous conditions to help save so many. It just frightens me, what humans are doing to our beautiful planet. We may all need to move to Europa. Hope the wolves have got the place ready for us all. Oh nooooo! No way! Humans are not coming to Europa!! Humans have no idea how to behave on their own territory let alone on the Icewolves territory! Hmm, had a feeling that would be your answer. Best I become Japanese rather quickly, so I can join them on their trip to your planet. Why indeed! The Salisbury Plains are a bit close for comfort in the circumstances and whatever they’re building out there it’s unlikely to be anything good with so much secrecy surrounding them…The government aren’t very good at covering things up though…in fact come to think of it they’re not exactly great about doing anything at all are they? lol…well…apart from preparing to arm the Syrians…whilst ignoring Japan and N-disaster..lying…tax evasion…and so on and so forth 😀 The next thing we’ll here is that those buildings are nuclear missile bases and they’re testing nuclear weapons out there…Oh Wolfie bison fleas!!! They’re certainly making “a major effort to restore life as normal to the region,” but it’s a shame that they do so partially by ignoring the plight of those still displaced and suffering. 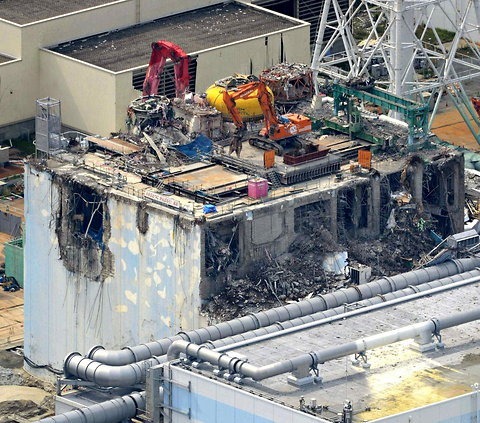 And terribly sad that those at the Fukushima Daiichi plant working so hard to make it possible for life to return to normal for the Japanese people, and indeed the world, in truth, are not being recognised by the people they are trying so hard to help. what if osiris is another earth! Wouldn’t that be interesting!